Last week I wrote an article referring to a democratic and state crisis. 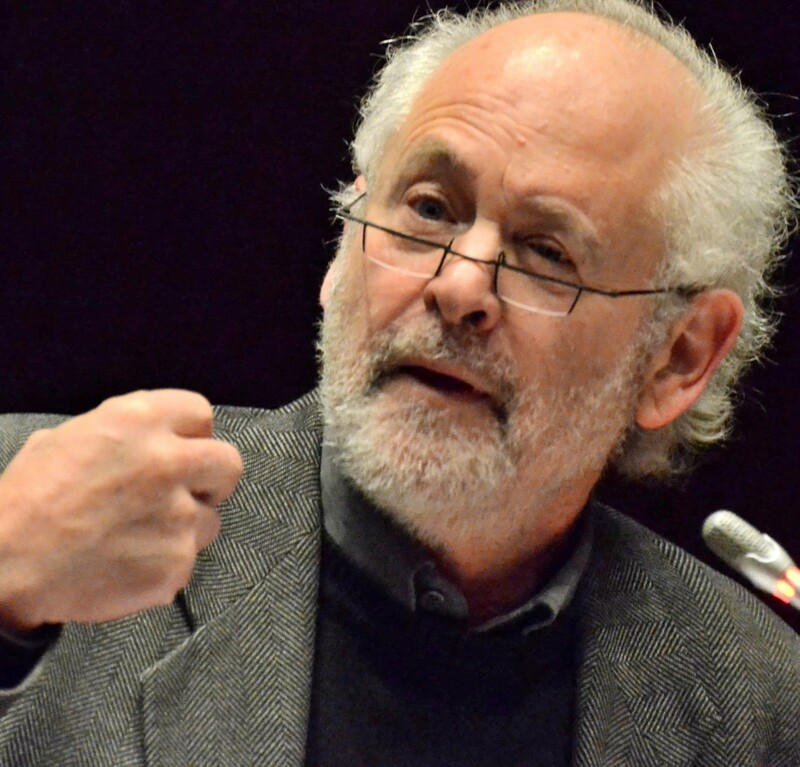 (http://www.polity.org.za/article/democratic-project-in-trouble-how-does-it-get-remedied-2018-05-07/searchString:Raymond+Suttner). I feared that what I wrote may have been superseded by events. Despite no one else raising the same issues, as far as I am aware, the points of crisis to which I referred have worsened in the last week. From what we know, there are at least two parts of South Africa where Cyril Ramaphosa’s presidency of the ANC is being challenged- KwaZulu-Natal (KZN) and North-West-and in one case, that of the North West, it is part of a wider crisis of the provincial state which has seen instability and collapse of some essential state services, especially health provision. It was reported on Sunday that the entire province is being placed under national administration, under section 100 (1) of the Constitution, and two-thirds of municipalities are to now fall under the Department of Cooperative Governance and Traditional Affairs. (https://www.timeslive.co.za/sunday-times/news/2018-05-12-how-cypril-ramaphosa-has-moved-to-reign-in-defiant-supra-mahumapelo/). This crisis of state and of the ANC are connected with one another, but not quite the same, insofar as one cannot remedy the division that led to crisis in the ANC through interventions purely at the level of the state. From the vantage point of the state there is recognition of the need for intervention, to ensure that institutions and structures function and this may have been achieved to some extent, in recent weeks, as with the SANDF intervention in the health sector in the North-West, partly independently of intra-ANC problems. Until Sunday’s announcement of “direct rule”, the ANC has said little about the deepening of the North-West crisis, despite it being widely reported in the media and openly articulated by provincial ANC leaders as part of factional politics deriving from the provincial ANC having supported Nkosazana Dlamini-Zuma for the ANC presidency last December. Some in North-West and KZN have also articulated their position as that of supporters of former president Jacob Zuma. At the same time a divided KZN ANC held regional elections over the week end, as a prelude to provincial elections, following the reversal of an earlier decision by the PEC and national officials. This new position has met with protests from 40 branches that claim gatekeeping and other irregularities. These regional elections are organised under the leadership of Sihle Zikalala, head of the interim structure and chairperson of the disbanded PEC. That KZN process was overseen from the national office, it seems, primarily by the Secretary-General, Ace Magashule, who made some of the relevant announcements. Magashule may have seen this as a way of covertly undermining support for Ramaphosa. Possibly because the Ramaphosa, nationally dominant grouping, can do nothing about this, they have said nothing -at least in the public domain. It is also reported that the ANC’s problems may be much wider, in that it has a real fear of losing its majority in the 2019 elections. ( https://www.timeslive.co.za/sunday-times/news/2018-05-12-alarm–in-anc-over-possible–2019-disaster/). It was thought by many that Ramaphosa’s presidency may have helped recover some of the ground lost in the 2016 local government elections. The removal of Zuma created a crisis of identity for the DA and EFF, whose actions were mainly related to Zuma’s misdeeds and this created some oppositional disarray. But ANC surveys apparently reveal a story that is not encouraging to the organisation. This article is not focused on electoral prospects or unity of the ANC rather than state and democratic stability and coherence beyond the ANC, defending and advancing democracy and state stability more generally. What are the interventions that are planned at both ANC and government level, beyond what has been done at the level of government? In my earlier article the argument presented was that the careful negotiations that characterised the early period of the Ramaphosa presidency were no longer sufficient. There remained a fairly coherent group of Zuma supporters who were either openly rebelling against the “new dawn” or whose loyalty to the Ramaphosa-led ANC and state was essentially conditional. The latter group would demonstrate their formal loyalty to Ramaphosa so long as his leadership remained undisputed. In the event that there was a strong challenge their self-serving loyalty could turn into self-serving opposition. Such people can just as easily move from peace to war, in the sense of hostility and destabilisation. And this is no longer an ANC that operates within norms of civility. Almost every week a councillor or members are killed, for what now counts as ANC politics is primarily the often deadly battle over spoils, related to holding office. That it can be explosive in the North-West has already been demonstrated not simply by the looting, which coexists with the opposition to Mahumaphelo but also in the aggressive discourse of the now presumably dissolved provincial government executive. In these conditions the ANC as an organisation is ill-equipped to resolve the divisions it faces. There used to be a time where there would be debates and arguments and winning over of support through patient organisation around ideas and debate or later through negotiating between those who may have had lingering differences. But while the Zuma supporters have their eyes and minds focused on a range of irregular ways of acquiring wealth, the Ramaphosa group is admirably intent on cleaning up the state. It is precisely this clean up that evoked resistance and fear of the consequences of a Supra Mahumaphelo resignation as premier, just as the consequence of a “clean up” is part of the consciousness of some ministers and others who hold high office in the ANC or state. While it is important that the Ramaphosa group, including some very dedicated ministers, continue restoring regularity, sufficient to justify a clampdown on graft, that is politically insufficient. Assuming that they take over North-West and closely examine the various deals that have been done with public monies, there is a strong chance that leading political figures could find themselves in the dock at the provincial level but, also in the civil service and in local government. Is the Ramaphosa-led government ready to deal with potential fall outs from bringing these people to book, including resort to violence? What does it advance, after over two decades of pillage and neglect, as a basis for commanding loyalty from as many political figures as it can but also the public at large? In her pathbreaking book on military coups d’état in the 1960s, The Barrel of the Gun, Ruth First noted how the military encountered little resistance from the population. They did not want the military, but they had few reasons to want continuation of the pillage by politicians. The lack of enthusiasm that the ANC now evokes, may explain why there was so little resistance to former president Jacob Zuma’s capture of the democratic state. This is of course not merely an ANC matter, for it concerns democracy and the state more generally, whether or not these will be allowed to fall to those who thrive on lawlessness and have no interest in benefitting the poor. The stability and integrity of the state is even more relevant now, to those outside the ANC, in the event of the ANC facing electoral defeat. There needs to be a broader, unifying set of ideas that is advanced for the ANC and beyond the ANC, for all who wish to defend democracy, not merely from graft but because it is a value in its own right, because it is part of what freedom and emancipation mean. If truth be told, it does not appear that the Ramaphosa-led ANC has itself developed or embraced such a body of ideas and values, that it simply needs to communicate more effectively. The ANC leadership of today is not ready and equipped or intent on mobilising and organising the membership and the public around a set of ideas that will inspire them to defend and promote democratic and transformational goals. Certainly, many of those who are in leadership, like Ramaphosa himself and many of his closest comrades, were involved in constitution-making and implementing the prescripts of the Bill of Rights. If it is accepted that the rule of law must prevail but something more is required, where are the ideas that can capture the imagination and loyalty of the people of North-West, KZN and Free State, and be applied to the membership of the ANC and the public in general? Who advances these ideas and within what organisational framework? There needs to be something that evokes excitementinsofar as it is identifiable as part of a series of steps that people can see will lead to a remedying of the processes that have denied them improvement in their lives and will enable them to live with dignity and with what they need for comfort. These steps will have to be the product of debate, a “battle of ideas”, something that was very important in earlier periods but forms a very limited part of current ANC politics and politics in general. If Ramaphosa were to advance such an overarching understanding, it could be one of the bases for stamping his authority as president of the ANC and the country. The truth is that stealing only benefits a few and that the pace of transformation could have been much faster had these monies not been diverted. The problem is however much deeper, and it needs a re-commitment on the part of the state and all those who want to see a better life for all. It needs a recommitment to democratic values and practices and that is not achieved by winning over or neutralising this or that individual through talks behind closed doors. Such quiet talks have their place, but it also needs extensive public involvement. Who will lead that and who will take the risk of organising the people in whose name this freedom was achieved? Previously that was not seen as a “risk” by the ANC (and the organisation does not, admittedly use that word now). But the post-apartheid period has, regrettably seen a severing of the close ties that the organisation previously had with its broad base, which was drawn on not simply as voters, but engaged together in continual debates and other activities. The ideas and vision are not coming from the ANC today. There needs to be a unifying set of ideas which is advanced, not only by the ANC, though the ANC may or may not decide to play an important or central part in advancing it. There is a crisis and all people of goodwill, all who wish not only to defend legality and constitutionalism but to see dreams of freedom become realities, need to be part of developing what will build a new unity, including but going beyond the ANC. Before the fall of Zuma there were public activities involving workers, students, teachers, professionals, sections of business, religious people and many others in defence of constitutionalism and democracy. That type of coalition of forces needs to be reinvigorated and cannot rest simply because there are important steps being taken to remedy problems in state functioning. Those very gains are under threat. But it is insufficient to be in the defensive mode. We need to develop a basis that is agreed on for the future. It is unfashionable in some circles to argue for more than representative democracy. Paradoxically, popular involvement has regained attention, among other places, in the UK, USA and Spain through the Jeremy Corbyn, Bernie Sanders and Podemos movements, without one necessarily endorsing any of these without qualification. Consigning of the place of “the people” to that of spectators makes democracy vulnerable, as it is now. There needs to be a process for defending the gains of 1994 but also involvement in debating what these are and how they can be enhanced. People need to have reasons to invest in their freedom and they cannot have that if everything is done on their behalf and with very limited involvement of the citizenry. The ANC after 1994 displaced the masses and the population in general from political activities. That needs to be remedied as part of reinvigorating the democratic project. Posted on May 14, 2018 by raymondsuttner. This entry was posted in Uncategorized. Bookmark the permalink.